Their comments come after South Bend Mayor Pete Buttigieg and former Rep. Beto O’Rourke suggested they might expand the high court as part of their bids to win the Democratic nomination. When Donald Trump won the presidency, the GOP quickly filled that slot along with many others that McConnell had kept empty in the run-up to the 2016 election. The Senate majority leader and the president have confirmed two relatively young justices to the Supreme Court and stocked the Circuit Court benches with similarly youthful judges who could serve for 30 years or longer. 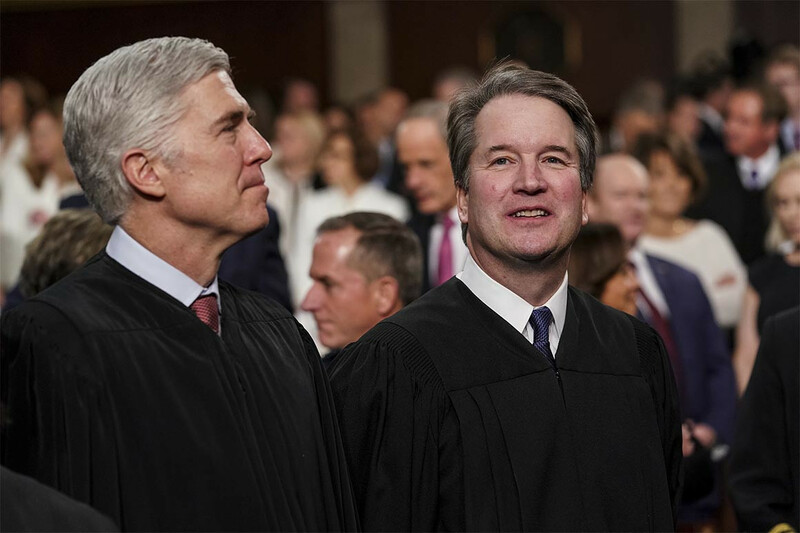 “The court should not be a court that you can figure out who the Republican judges are and who aren’t,” said Sen. Mazie Hirono (D-Hawaii), who supports the idea of expanding the Supreme Court. Democratic endorsements for overhauling the judiciary don’t seem to track neatly with ideology. O’Rourke is widely viewed as a relatively centrist Democrat in the field yet spoke openly after launching his run about expanding the high court to as many as 15 judges and potentially adding term limits. In addition to winning over Senate veterans and moderates as well as House Democrats, any such change would also likely require gutting the legislative filibuster, a herculean task in and of itself. “It’s like changing the rules of the Senate. I think it’s a mistake. Probably the biggest mistake I ever made was voting on the rule change on judges,” said Sen. Jon Tester (D-Mont. ), referring to getting rid of the 60-vote requirement on most nominees in 2013. McConnell eliminated that threshold for Supreme Court nominees in 2017 to get Gorsuch confirmed. It’s not something Democrats really want to be talking about, but they say it’s unrealistic to simply abide by old norms when Republicans appear to be playing by a new set of rules. Next articleAre Democrats Facing Their Own Tea Party-Style Reckoning?